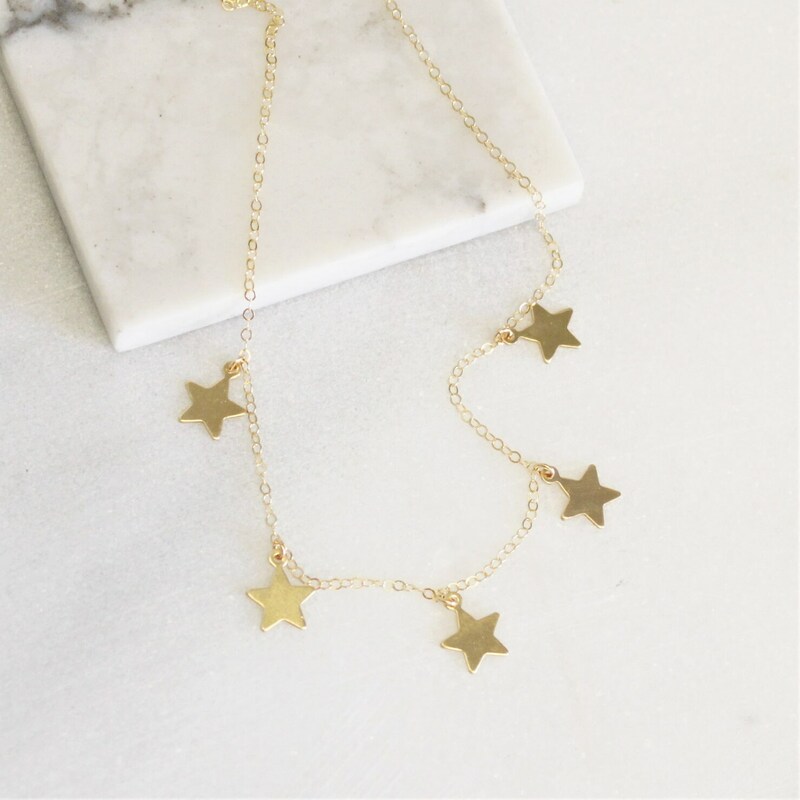 This star choker necklace is edgy and chic. 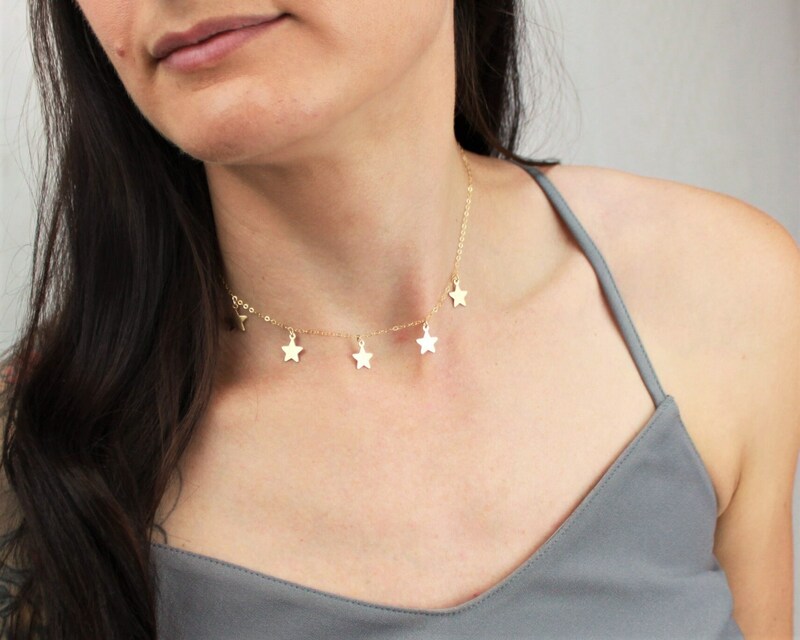 Great at choker length or a little longer to add a little sparkle to your favorite tee or little black dress. You are made of stars! 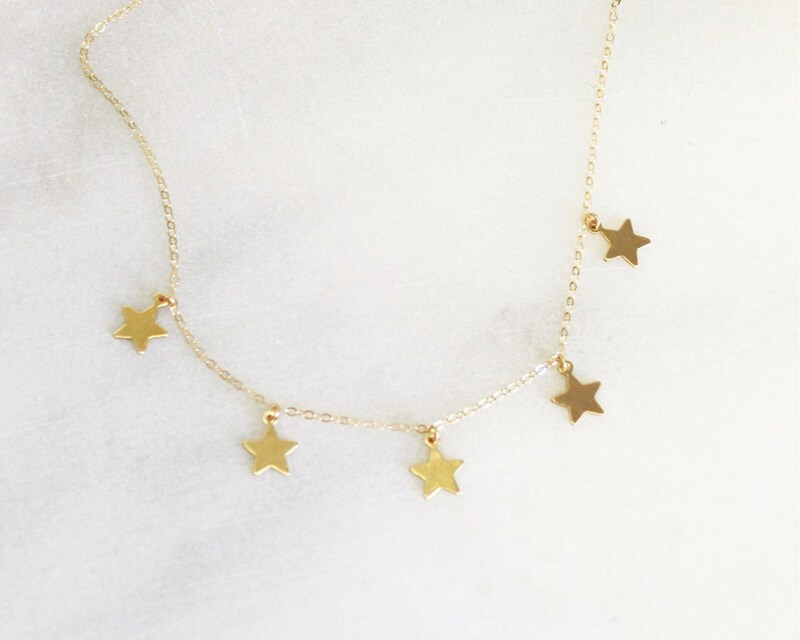 - 14kt Gold-Filled or sterling silver stars and chain. I have had several distressing health issues among my family. This necklace and the beauty and optimism it embodies has helped me so much it is difficult to thank you enough for the special healing it has helped me, You never know how far your positive attitude extends, You and the special necklace have reminded me that hope is at hand and that I should have faith. God bless! hmm. Just to answer the questions raised. 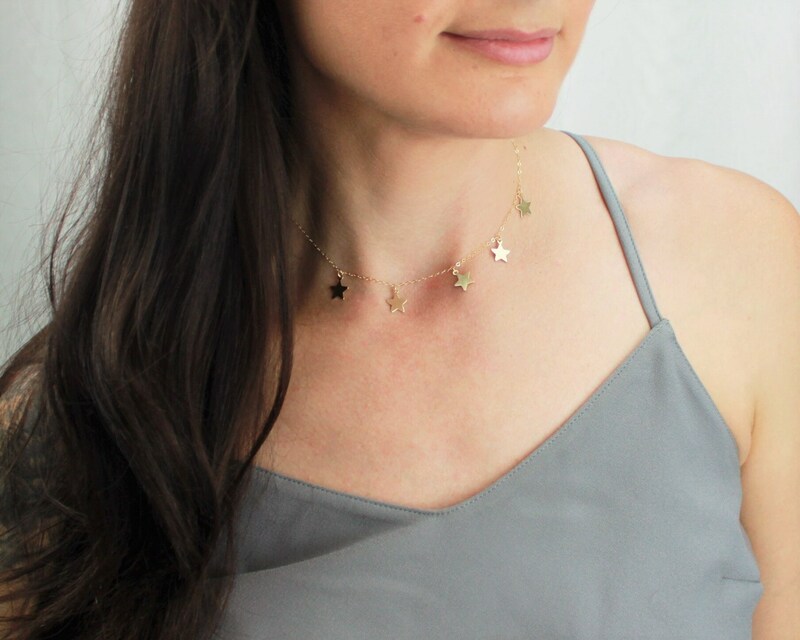 The necklace was shipped promptly, I love it dearly.